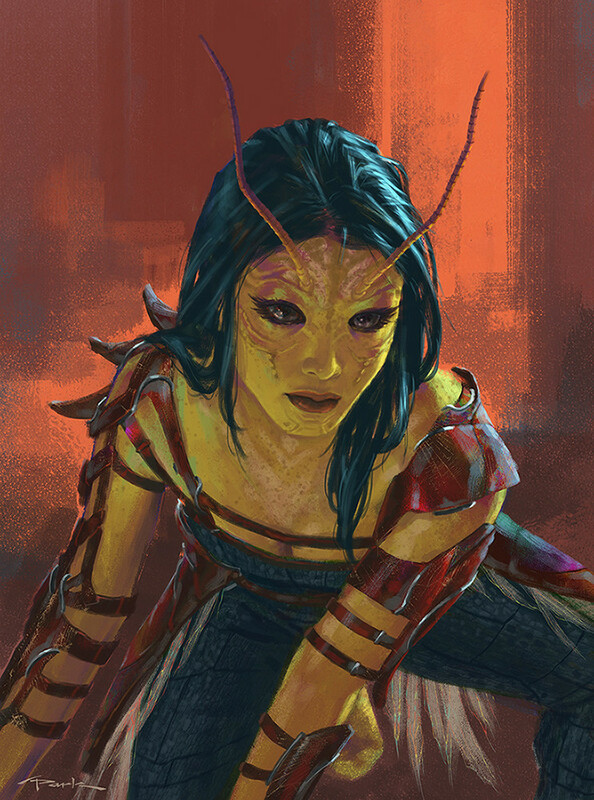 Taking part in the ArtStation Masterclasses is a unique opportunity to directly interact with some of the world’s top artists in entertainment. Join us for an online learning event you won’t want to miss! Super Early Bird Discount ends January 31. This week’s Spotlight Instructor is Marvel’s Director of Visual Development, Andy Park. While these days you’ll find him leading design on some of the biggest box office hits of the past decade, Andy’s resume boasts extensive experience in creating concept art for some top-selling comic books (Tomb Raider series, Excalibur, Weapon X, Uncanny X-Men) and AAA games too (God of War II, God of War III, God of War: Chains of Olympus, God of War: Ascension). Andy chatted with us to talk about his upcoming ArtStation Masterclass, his experience working on the new Captain Marvel film and share some insight into all it takes to design costumes for the big screen. In his course, Andy will guide you through his approach storytelling approach through designing a female character. He’ll go step by step in his process from the research stage, to making the character come to life through exploring such things as poses and making design choices on the look, function and story of the character. What is a regular day at work for you? As Director of Visual Development here at Marvel Studios, my obligations range on a day to day basis. I am usually leading the team on more than one film project since we have so many going on at the same time all at different stages of the production so I am often going to different kinds of meetings with the producers and/or directors. I will art direct our amazing group of in-house and freelance artists throughout the day and then I will have to find the time to do my main job, which is concept designing characters and creating keyframe illustrations for our movies. It’s a daily juggling act of different responsibilities on different projects. There have been several days that I have counted working on 5 projects in a single day. I prefer the days when I can focus on one. We then usually have a weekly or bi-weekly meeting with the director/s, the producers, and all the heads of the other departments (art department, visual effects, costumes) to show the work our department has produced and to get feedback from everyone. Those days are a lot more stressful and hectic. I prefer the days where I can just paint and design all day long. Those days are rare now. Tell us about one of your most valuable learning experiences on the job. One of my most valuable learning experiences I’ve had here at Marvel Studios during the past 9 years was when I was leading Ant-Man and the Wasp. After designing those 2 characters I was flying back and forth to Atlanta to help oversee the creation of those costumes as well as all the other superhero-type costumes. I was working extensively with both the costume designer (Louise Frogley) and the head of specialty costumes (Ivo Coveney) and I was embedded in the costume department for weeks at a time going over every inch of those costumes. We would problem solve all aspects from every angle of each line to how to get the helmets to look just right on Paul Rudd’s and Evangeline Lily’s heads. It’s all a big challenge. We had several fittings with the actors to further help us see what was working and where the problem areas were. Getting to work so closely with those 2 departments was such a learning experience on the reality of creating these costumes for real. One paint stroke of mine could mean a week’s worth (or more) of work for the costumers. It’s all a collaboration so being there physically allowed the easy back and forth to decide if certain design elements could be adjusted or even eliminated at times without compromising the integrity of the design. I have so much respect for all those amazing artisans. It was a great learning experience and just so much fun to be a part of. What is one thing that people can expect to learn in your upcoming Masterclass? In my Masterclass I will be showing you how I approach designing a female character. This is my approach on how I go about thinking of what a particular character could look like and who she can be. It’s getting into the mind of your characters and then fleshing it out on paper, or in this case on screen. 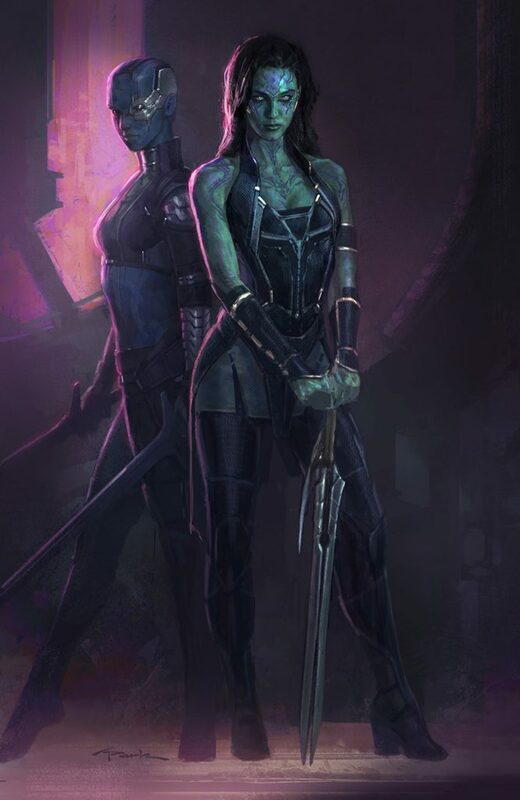 What can you tell us about your experience working on the upcoming Captain Marvel film? I feel so honored to have led the Visual Development team on Captain Marvel. This is our first film with a solo headliner female hero. It’s a big deal and a long time coming. I was also honored to lead the previous film which had our first co-headliner female hero in Ant-Man and the Wasp. In both these films I was able to come up with the design for these amazing heroines. Designing costumes on actual people is always a challenge. It’s easy to come up with a design when you can completely idealize the human form that is 7-9 heads tall and has a nonexistent waist line but when you have to come up with a look on a real person with real human proportions with flaws and all (though these actors have the least amount of flaws compared to the average person) it gets a bit more tricky. To top if all off, it has to actually be functional, meaning they have to be able to act and perform action scenes while wearing the costume. There are a ton of challenges that most people aren’t even aware of but that’s part of the fun of the job. So much work is put into coming up with the costume that you see on screen. 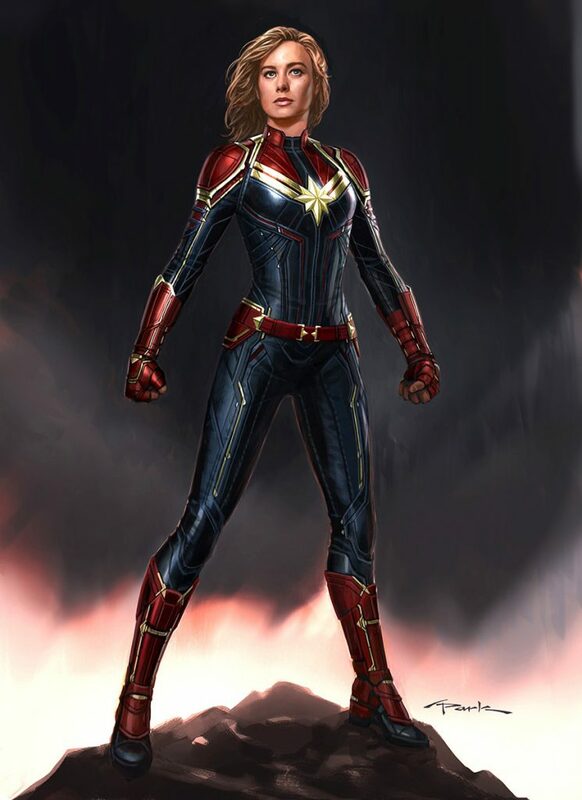 It starts with the design, which I got to do, and then I get to work alongside the costume designer (Sanja Hays), her amazing costumers, and the specialty costume builders (Film Illusions) to help them realize the design onto the actual actor (Brie Larson). I’ve been doing this for awhile now and I am still in awe every time I go to a costume fitting with the actor and slowly see the character come alive right in front of me. It’s pretty amazing! 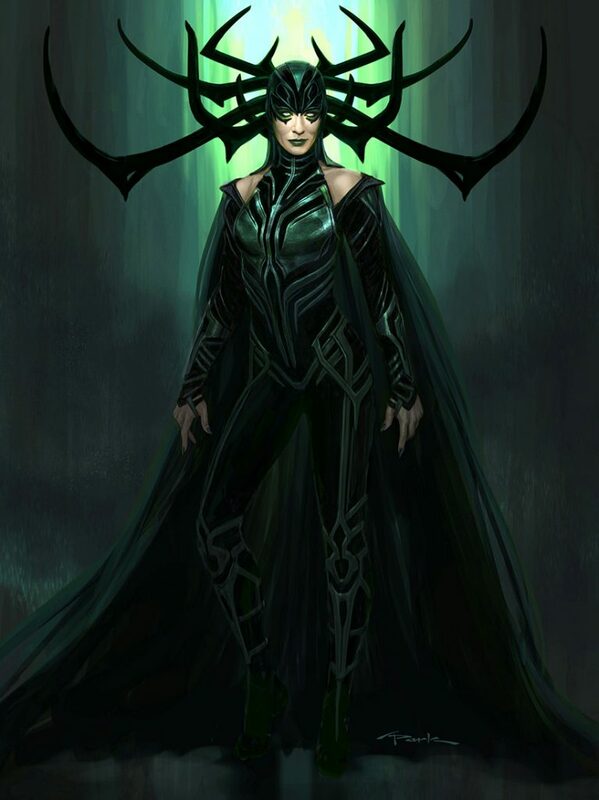 What are all the considerations you need to keep in mind when designing a character for a movie? Designing a character for film is all about trying to tell a story through their look. Of course since I work at Marvel Studios we’re designing characters that usually exist in the comic books so we’re starting there. How do we take a look that has been created usually decades ago and translate it into a reality we could believe as well as something that will convey the story we’re trying to tell in this movie? It’s the fun challenge of being a concept artist. We’re storytellers. We have to dig deep into the hows and whys of every design decision we make on the costume, helmet, or accessories. It’s so much fun. Besides the conceit of the look, we have to consider the functionality of the costume itself. As mentioned earlier, we are designing suits that are going to be worn by a real person so we have to take all of that into consideration. After working on so many of these films now and working alongside the actors, I can tell you that the majority of them aren’t really comfortable in these suits. They look like larger than life bad-asses, but they are usually feeling quite uncomfortable in a pretty claustrophobic and very hot suit for hours on end. We have to try to make their lives as comfortable as possible. Kudos to the costume designers, all their amazing artisans, and the specialty costume builders who really have to problem solve every detail of those costumes. My main job is to create the visual and work alongside them all to help realize that visual in the end product. It’s all a challenge but it’s so rewarding when you see a character come alive at the end of the day. Find out more about ArtStation MasterClasses and save $80 when you buy your ticket by January 31!